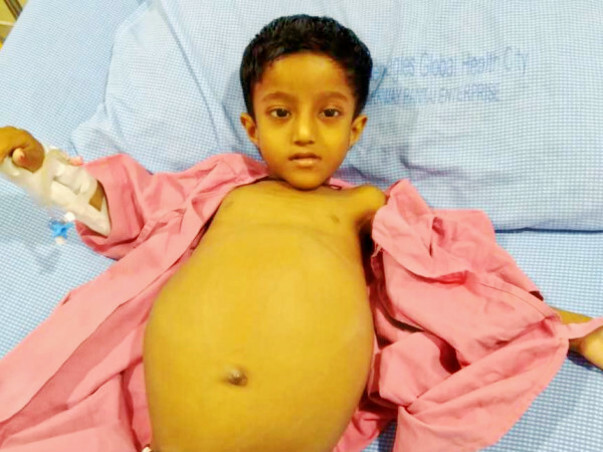 Panvi Sai Ganesh is in a critical state due to a liver condition and needs an urgent liver liver transplant in order to survive. Your contribution can give him the treatment he deserves. Here's a quick update on Sai-ganesh's update. He successfully underwent transplant surgery and the father was the potential donor. He is responding to the treatment and is doing well. 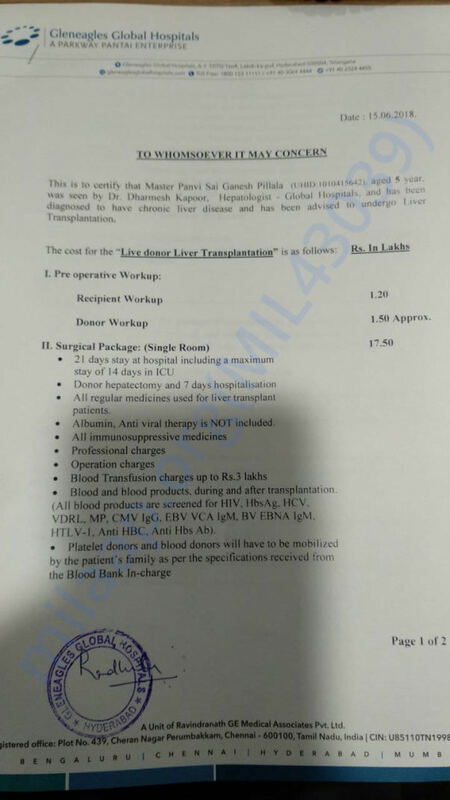 This is to inform you that Panvi Sai underwent the liver transplant successfully with his father as the donor. He is still in the ICU recovering. We will keep you posted on the progress of his condition. Thank you once again as we could not have done this without your support. We would like to inform you that Sai Ganesh's father has been identified as the potential donor. His transplant date has been scheduled for this week. We will keep you posted.